Why A new Era in Design? 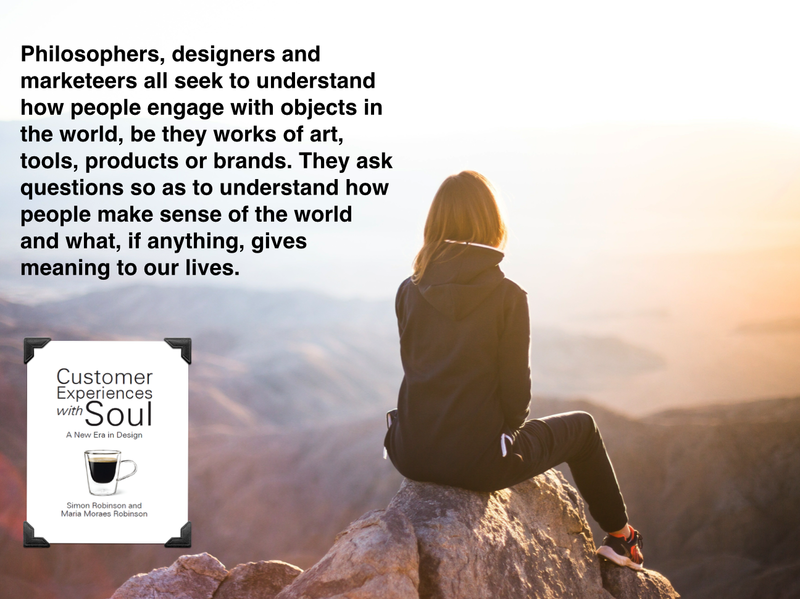 When Maria and I published Customer Experiences with Soul we knew that a few people may well question the book’s somewhat confident subtitle – A New Era in Design. But why did we really choose the subtitle we did? Despite there being a number of excellent books on the subject of customer experience design, we could not find any customer experience or user experience design books which took any meaningful look at the questions of human values, being, mastery, meaning, deep explorations of human experience (phenomenology), or indeed soul. 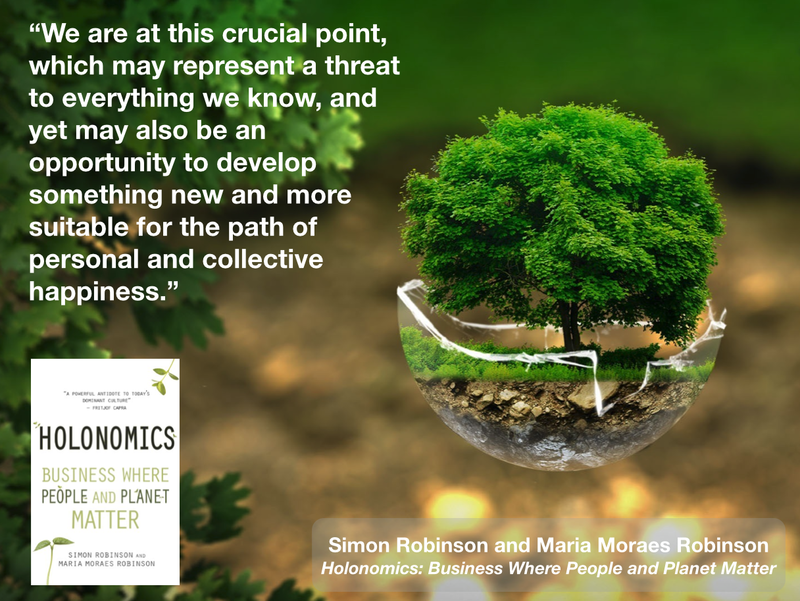 The Holonomics approach treats business organisations as authentic and coherent wholes, including radically new ways to envision strategy development and implementation, customer experience design and business model evolution. Financial results are seen from a systemic perspective as an important but not unique factor which enable an organisation to achieve long term sustainability, being the outcome of purpose-driven missions and visions. • How do we manage and nurture flourishing businesses which express soul? • How do we engage the most senior executives in a manner which is constructive and which creates immediate impact and lasting change? • How do we develop a strategy for a new kind of business in a world which is volatile, uncertain, complex, ambiguous but also abundant? • How do we scale up a business without losing its essential essence? • How can we integrate these principles into existing major corporations and conglomerates? For Maria and myself, as we say in our book, the most disruptive word you can use in innovation is soul. For this reason we were delighted to see a recent talk given by Jason Grant in which he raises the very question of soul in the area of user experience design. In doing so he referenced Customer Experiences with Soul. You can see this part of his talk in the short clip below. Jason is a human, business and technology transformation specialist working on redesigning humanity. He is the CEO of Flexewebs and Integral – Redesigning Humanity and coaches companies to develop innovative Design Thinking across their entire organisation, helping them deliver customer-centric company experiences. He introduces our work first by discussing the question of being in design, in contrast to doing, and then he asks a question which I have not heard any other presenter ask an audience before. He asks the audience of UX specialists the question “who has heard the word soul in relation to UX design?”. This is a brilliant question and provides an the perfect response to the question of why we subtitled our book the way we did. 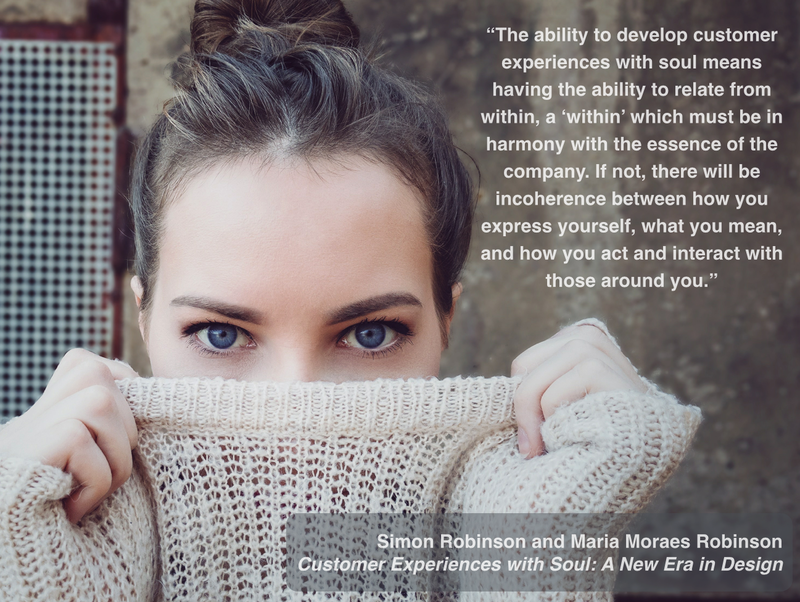 A customer experience with soul is a sacred experience which honours what it is to be human in our world. Experience designers of the future will be those who disclose new ways of being in the world, which reconnect us to the sacred.